1. 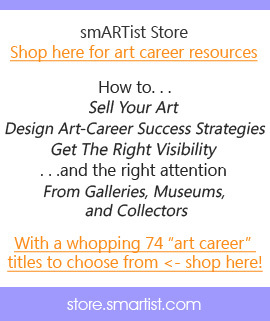 Because an artist statement affirms what you do, and by extension affirms you. And none of us can ever have too much affirmation. 2. Because an artist statement calls out for you to recognize the true faces of your deepest self: truth, beauty, and goodness. 3. Because an artist statement invites you to experience another level of awareness about yourself and your art. 4. 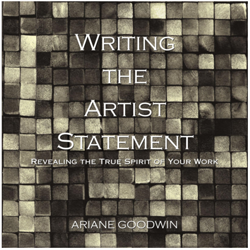 Because an artist statement strengthens the relationship you have with your work. 5. 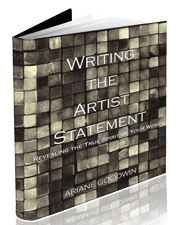 Because an artist statement builds a compelling bridge between your audience and your art. 6. Because an artist statement enriches the connection between the artist and the art. 8. Because it makes a deeper statement about self-trust, that you trust yourself enough to flow into another dimension of expression. I really don’t care which reason reaches into your psyche and moves you to action. Just pick one and go for it! btw – if going for it feels more confusing than it should, seriously check out my book because I go to great lengths to make crafting your artist statement easy and satisfying.